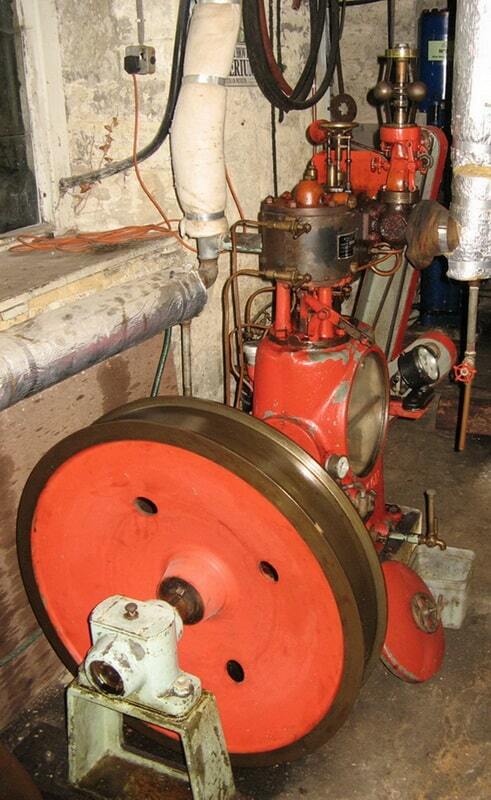 Downstairs in the workshop area can be seen a collection of small steam engines that includes a Reader single piston valve engine (seen here). 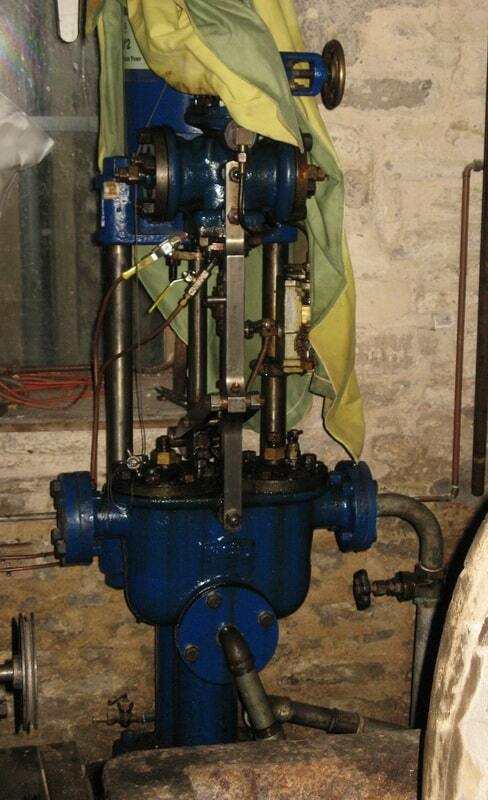 The Reader Engine is an enclosed engine built by E. Reader & Sons Ltd of Nottingham. 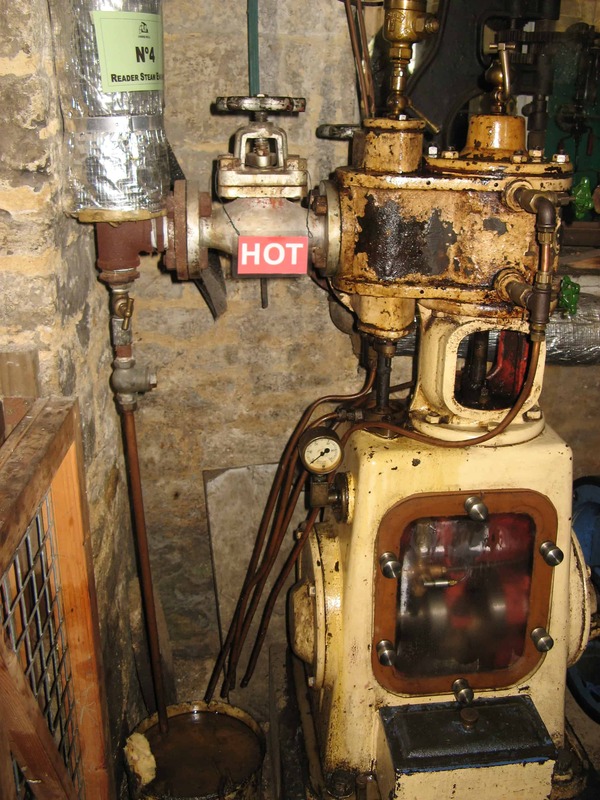 It was in use at the Radcliffe Infirmary in Oxford where it drove a fan which created draft for the boiler. Edward Reader was in business in Nottingham as early as 1861. He eventually moved into the Pheonix Works, Cremorne Street, Nottingham where he traded under the name E. Reader Sons. The business was still trading as late as the 1950s. 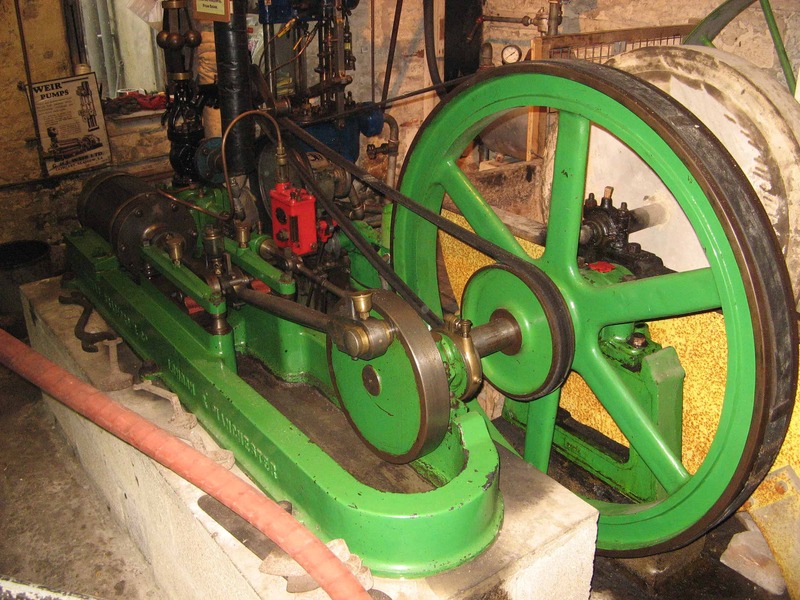 Similar engines to this were supplied to gas works where they were also used to drive fans.